A Simple Jew: Guest Posting From Rabbi Dovid Sears - What Did Moshe Rabbeinu See in the 'Erev Rav? This question has been on my mind for several years. However last night I read LM 1.56 "Uv'yom habikkurim" which seems to shed light on this question, although it brings me to another question. Rabbenu seems to say towards the end that although its good to judge even a rosho l'chaf z'chus - not everyone can. Sometimes the rishus is at such a level of hastoro, that it would take a grosse tzaddik to be able to bring him back to Hashem (via a machlokes l'shem shomayim, I think). My question then is, in "direct" kiruv or even just machshovo (dan lchaf zchus), how do we know when to "give up" because "better not to say something that wont be heard" etc. or carry on? Maybe we have reached a position (malchus) to bring that yid back? On other hand, if we dont know who we really are what we can achieve - malchus b'iskasyia/ b'isgaliya - and we dont also know who far our secular friend is from Hashem, then how can we ever know who to be mkarev or try to dan lchaf zchus?? Kabbalistic thinkers in certain anti-Zionist communities might bring numerous statements of the Zohar to support this idea -- but Russian, Ukrainian, and Polish Chassidim generally did not take this approach (nor did Rav Kook and his school of thought, needless to say). I really don't agree. Even polisher or chassidm from ukrania are anti zionist. Some sefaradim too. Toratenu Hakedosha is against the apikorosut. "Many authorities feel that most of us today are in the category of "tinuk she-nishba," "
Many ??? The Lubavitcher and...? In the ukta demeshija the power of the satan against the emuna is stronger than ever. "and that Rav Zvi Yehudah Kook tried to be mekarev Shulamit Aloni!" Rabenu zal (Rabbi Nachman miBreslev) said that just the tzadik haemet can mekarev the apikorosim how fell down on the chochmos chitzoniot (the 3 apikorosim of uman for example, he himself mekarev, bucause a simple Yid can't do this job, just the tzadik haemet! If a Yid try to mekarev an apikoros maybe he fell down on chochmos too. It is said explicitly in Likutey Moharan (in "Heychal haKoydesh"), that there are those who should be avoided! (I.e. it is wrong to mekareyv them) because it will not bring any benefit and only the opposite. It is most probably refers to eirev rav. Also look about this subject in the kuntreys "Machniya zeydim" from the Tcheriner Rov ztz"l. This subject is far from being so simple, as to say that Russian/Ukranian/Polish chasidim are for kiruv directed towards eyrev rav or something the like. Also look about it in famous mayse about melamed-koyfer in "Sipurey Chabad", where there are brought pretty strong words about this subject. I have the same questions. But one thing seems clear: in Torah Resh-Pey-Beis (Azamra), the Rebbe is speaking about a limud zechus toward the rasha gamur in thought, not in direct interaction. And the result of this limud zechus is that the rasha spontaneously feels an arousal to do teshuvah. Of course, he still has free will. But now at least he has a "fighting chance!" Another model for the Rebbe's thoughts about kiruv is the ma'aseh of the Baal Tefilah, whose more advanced disciples emulate him by going into the yishuv to engage the lost neshamos of the Medinah Shel Ashirus in conversation in order to bring them back. True, their abilities are limited, and in the end the Baal Tefillah must finish the job himself. But the talmidim definitely play a role in this. In the Halachah on this story (don't have it in front of me right now), Reb Noson states hat not only can the tzaddik emes engage in this work, but also "kol ha-nilvim alav," meaning all those who are truly attached to him. This seems to be the spiritual barometer of who is equipped to engage in kiruv rechokim. Not much time to respond at the moment. But I would like to mention that the practical side of this issue falls into the category of "ma'aseh rav": what did our great teachers do? Reb Avraham Sternhartz used to travel to the secular kibbutzim to reach out to the alienated youth of his day, and his talmid Reb Gedaliah was legendary for his kiruv efforts. Rav Chaim Sonnenfeld travelled to the kibbutzim for kiruv purposes, too, sometimes together with Rav Kook. Yet their are definite dangers here, and one must know what he is up to. Bottom line: ask your mashpia! PS: A Yid -- PLEASE! I never said that any Chassidim advocate kiruv for the Erev Rav!!! How could you even think such a thing? I said that these Chassidim tended to be less anti-Zionist; and maybe my choice of words was poor. I did not mean that they were "OK" with Zionism, particularly secular Zionism which tended to be anti-religious; but that their posture was not so combative. Some were even religious Zionists, or sympathetic to religious Zionism, esp. the "Poilisher." I have been told by some of the "old-timers" in the Breslev Shtibel in Borough Park that this was true of most of the Polish and Ukrainian-Russian Breslevers of the previous generation. Dovid Sears: What I meant, that either extreme is incorrect. To say that all yidn alienated from Yiddishkayt are eyrev rav (some in Satmar etc. tend to think like that) is obviously wrong. But to say that they all are tinokoys shenishbu who don't apprehend what they are doing is wrong as well. It's enough to research what some reshoim did, to have a very small doubt that they are either eirev rav or something the like. Especially when those deeds caused deaths of multiple yidn or their shmad, etc. I think you meant that Russian/Poylishe are not extreme like others to call every one separated form Yiddishkayt eyrev rav. This I agree with. But the other extreme (to "whitewash" the evil of really horrible reshoim) is mizrochi, not Russian/Poylishe Chasidus. 1.1 "He (RaMaK) explains that the Torah was given in seventy languages so that the 'Erev Rav, who spoke these seventy languages, would in turn purify the seventy original nations of the world." This is the first time I have heard about the Erev Rav of Moshe Rabbeinu's time, that they: SPOKE THESE SEVENTY LANGUAGES? I would like to know the source for this (not just that the RaMaK said it)? Were all these people living in Mitzrayim? How did they get there? What was their attraction to Moshe Rabbeinu? 2.1 "The bottom line is that it is our first responsibility to eradicate the klippah of the 'Erev Rav and the zuhamas ha-nachash within ourselves, by purging ourselves of arrogance, materialism, coarse sensuality, and disrespect for tzaddikim and Jews "
I don't think this is spiritually correct. I think the Erev Rav's essence (their root neshoma) is against the Holiness that Hashem wants in this world. I see it being expressed not as a specific group, but as a way of thinking found in anyone (secular, rabbi, et al.) that influences and negates the thoughts, actions, deeds, etc. of truly spiritual/religious Jews. Their goal is to stop the Moshiach and the redemption (which I think I read in material on the Leshem [regarding the zuhama from Adam] and the Zohar). It is an effort that is much deeper and mysterious than we can imagine. True, we have to work on our own neshomas, to purify them of the negative (middos), but each midda we possess has a positive strength that needs to be awakened. These middos are gifts of Hashem in order to accomplish our mission on this earth. This zuhama will be removed when we are purified by Hashem in the process of restoring our neshomas to the level of Adam HaRishon before the fall. This does not mean all neshomas survive. We are composite neshomas. I believe the Erev Rav were not worthy then and are not worthy now. You could apply that test in your interactions with the anti-religious. If you perceive in their words and their behavior toward you some "handle" with which to pull them close and elevate them, then you should know that is truly why they have come to you. It's my experience that many who appear outwardly anti-religious are really implicitly asking to be brought close and elevated; that is the inner reason why they are interacting with you in the first place. 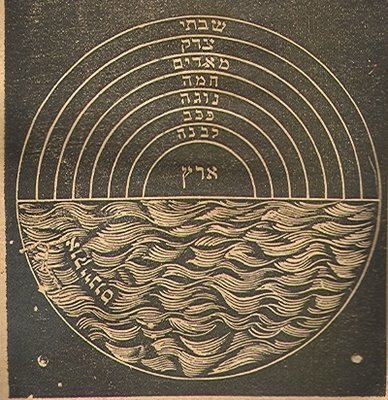 The Besht stated this about stray thoughts also (Toldot Yaakov Yosef, Vayakhel 75:3): "I heard in the name of my wondrous teacher regarding the stray thoughts that come to a person in the midst of their prayer, that they are in the secret of the Shevirah and the 288 sparks that a person must sift each day. They come to be rectified and elevated." In practical terms, one who is approaching you with outwardly anti-religious posturing may make some kind of statement in which is implicitly contained their request to be elevated. In a person's questions are usually contained, implicitly, the answers they seek. Above all, have courage and do not be afraid.